In November of 1914 a 26 year old George James Collinson traveled from his home in Point Edward, Ontario to a recruiting office in Toronto where he joined the Canadian Expeditionary Force. For the next four years Collinson would wold be stationed at or near the Great War’s Western Front. He spent much of the war as a supply driver with the 5th Canadian Field Ambulance raising to the rank of Sargent. He saw action at Vimy Ridge. After the war he settled in the rail and lumber town of Chapleau, Ontario. He is the Grandfather of Canadian author Mansel Robinson. 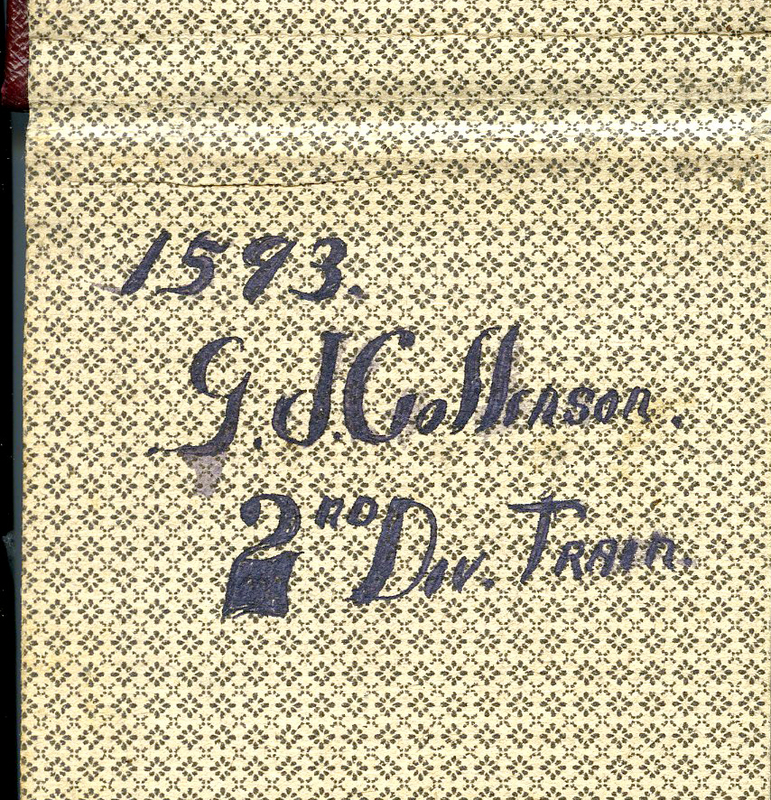 The bulk of the material presented here are fives pocket diaries written by Collinson from 1915 to 1919. They are part of the Mansel Robinson fonds MG 358 . There is also a copy of Collison's war records from Archives Canada.